The club will be picking up the Adopt-a-Highway section of County Road 4 in Orrock starting at 5PM tomorrow night. Then we’ll be grilling out before the regularly scheduled Club meeting. 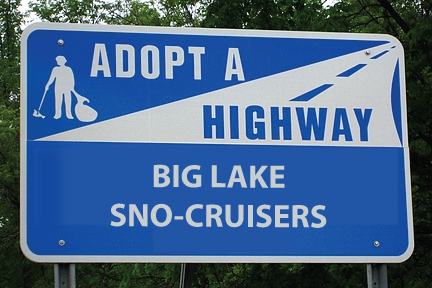 There is a lot of work to do with the DNR and Trail Association this summer, so if you can please make it or know any fellow snowmobilers – Please tell them they are free to join us. Thanks for your support and we hope to see you out there!